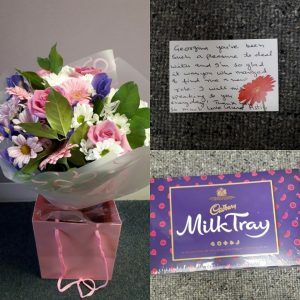 The testimonials and gifts below are a selection of extracts from recent ‘Thank You’ cards, emails, letters and Google Reviews that we have received from satisfied job seekers. 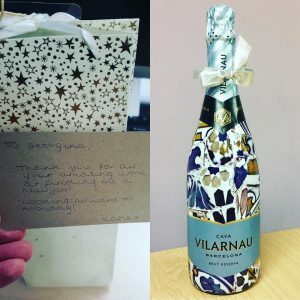 Whether from those we have found trainee estate agent jobs, to those now in more senior property roles, these testimonials are all completely unsolicited and are all written by real people who have made use of our estate agency recruitment services! Thanks so much for helping me find my new job! I am super excited to start. This opportunity could not have been given to me without YOU! Your support over the last couple of months has been awesome and I really would not have been able to do this without you. You’re the best recruiter I’ve ever come across! Within one week of approaching Property Personnel, I was received a job offer from one of their clients that I was happy to accept! The highly professional and personable attitude of the staff here are matched by their quick and efficient approach. I have had a very positive experience and so I highly recommend Property Personnel. I had an extremely pleasant experience with Property Personnel. Georgina, who was my consultant, was incredibly helpful and supportive from start to finish. She made the whole process incredibly smooth and within a week of Georgina contacting me, I had a new job! I couldn’t recommend her or the company enough! A little something to say a big thank you for all your help & support Georgina. Enjoy, from Karishma. I had a positive experience with Property Personnel in particular my consultant Georgina who helped me find my next role in Property Management. Georgina took the time to listen and understand my requirements and helped prep me for my interview. The whole process was very quick and hassle free. I interviewed, received and accepted my job offer all within one week. I would recommend using Property Personnel especially if you are looking for a career change or wanting to enter the property industry with zero to limited property experience. Fantastic service!!! Dealt with Georgina and it was the smoothest and most efficient process I’ve ever had with a recruitment agent. It was a total pleasure, and I felt so confident with everything Georgina did for me. Thank you so much, and would absolutely recommend! 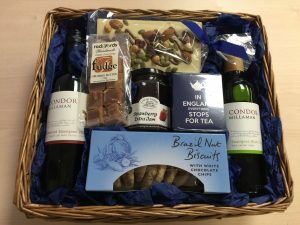 Thank you so much for helping to arrange my interview at Tipi, I am loving the job and hope you enjoy this gift as a little thank you. As someone who was struggling to make the transition from working in construction to getting a job in the property game, I originally come across Property Personnel completely lacking any idea of how I was getting to achieve my goal. Charlotte O’Hanlon completely changed that. 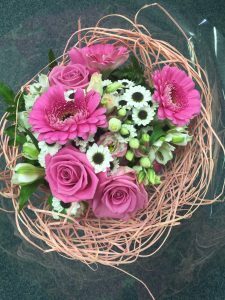 Not only did she help me realise I was looking in the completely wrong places, but she gave me the tools I needed to get a Jobs as Lettings Negotiator working for one of the biggest Estate Agencies in South East England. I can honestly say if it wasn’t for Charlotte, I wouldn’t be where I am today. I 100% recommend Property Personnel for anyone looking to get into the property industry or looking for quality advice/help. It has been an absolute pleasure dealing with Property Personnel. They are very efficient and provide exceptional service. Georgina, my consultant, is friendly, approachable, helpful and understanding. She demonstrates professionalism and passion in her work. I appreciate her quick response, efficiency and prompt follow-up to my requests. Thank you! Thank you so much Allison for all your of help, dedication, and especially for finding me this perfect job!! I think I’m going to be really happy there. I wouldn’t recommend anyone else  I cannot express how over the moon I am to have landed this job – all thanks to you. I can’t recommend Property Personnel enough! Georgina is a star, after conversation and making sure what I’m looking for, she arranged 3 interviews in no time and I’ve managed to find an amazing job within 2 days! Very professional and hands on team. Would give them 6 stars if I could. Anthony was very helpful. He listened to what I needed and completely understood what was important to me. I would highly recommend him to anybody looking for a new job. Amazing company, Amazing staff!! 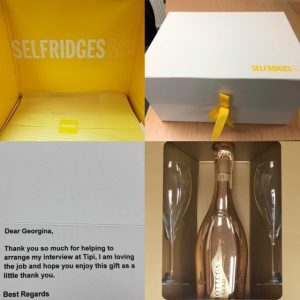 I had the pleasure of dealing with Georgina, who made the normally horrible process of finding a new job a complete pleasure.. Couldn’t recommend them enough! 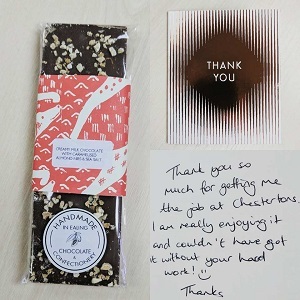 This review is well overdue but I wanted to say how thankful I am that Georgina placed me in my role at Chestertons, it’s coming up to a year now and I am so happy in my role. Georgina was so helpful right from the start and she never gave up until I found the right fit. I highly recommend Georgina if you are looking for a new job in property. Georgina has been so helpful every step of the way. 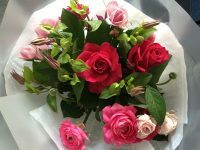 I couldn’t recommend her enough as she made sure I was kept up to date regularly, as well as finding the job that was right for me. Allison Dalrymple has been absolutely brilliant to work with. She is extremely professional but at the same time really friendly and helpful, and actually (and most importantly) listens to what you want, and finds the jobs that are best suited to you. It is not just a position and the salary, for me the company itself and its location was equally important and Allison got me the perfect job just in a few days! It feels that she does her job not just to fill a position, but to actually make sure that you happy with the company and the position. She always follows up after the interview so you are updated and reassured! I most definitely recommend Allison at Property Personnel! I highly recommend using Property Personnel, they have been so helpful and supportive through out the whole journey of my job search. Thank you again Charlotte for all your help you have been amazing. Allison is one of the best recruiters I have worked with. She is always really helpful and comes up with great roles. Even though I found my job personally I will definitely recommend PP & Allison as well as coming back should I be in the market again. 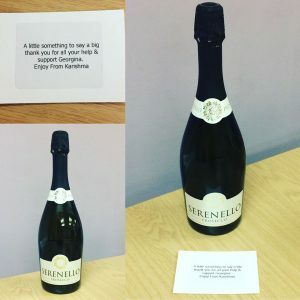 Gemma was a great help with getting in touch with different estate agency’s , any questions I had or concerns she answered any of them and was always on the telephone updating me on interviews and information regarding to my job search. Would highly recommend her to anyone looking for a role in property. industry. I applied to a couple of jobs on indeed and received a phone call from Gemma Nannery. Now, when applying for jobs it’s so easy to feel hopeless but as soon as I spoke to Gemma she made me feel very positive. I met her for an interview to decide whether this was the right path for me and she helped me feel more confident. I had not yet passed my test so it was a couple of weeks before I could give Gemma the green light. She worked her magic and got me in with 3 different companies! Gemma was so helpful and gave me so much information about the industry. She also followed up after each interview to ask my opinion and review the pros and cons about each company which helped a lot as I’m very indecisive. She made the whole process of finding a job so easy as she gave me feedback, guided me to the right employer and even turned down the others for me! (Which I find to be the hardest part). Gemma is so easy to talk to and would recommend her to anyone! Gemma was amazing. Worked really hard to get me interviews with roles that would suit me. Followed up on everything and stayed in constant communication. Ended up getting me the perfect role for me and never pushed me to take something I didn’t want. 10/10. Thank you. 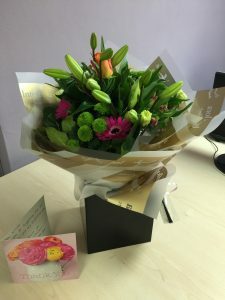 I would like to start of by saying a huge thank you to Property Personnel and in particular to Gemma, who has been simply amazing. Gemma has been incredibly efficient, dedicated, responsive and has managed to find me a job within two weeks of our first contact. If you are looking to get into the world of property this company is the perfect way in. I had a lot of help From Georgina. She was so good and so helpful. She made sure I found a job that was PERFECT for me and she also checked in on my first day to make sure I was happy. It was a pleasure getting advise off her and I can’t thank her enough. I would advise anyone who is looking for a job or thinks it’s hard to find a job. You have to speak to Georgina. Georgina, thanks for everything. Gemma was absolutely amazing from start to finish! She really helped me find the perfect role, and always kept me updated. Couldn’t thank her enough, she’s the best! Rebecca Pratley provided such a superb service! From start to finish, I was kept in the loop. I was provided with every detail I needed and Rebecca went above and beyond to help find the perfect job for me. Rebecca’s guidance and knowledge of the industry provided the best interviews with a great variety of job prospects. I was very fortunate to receive five job offers within one day and the process was easy and smooth. I couldn’t recommend Rebecca more. I have every faith that she will help you find that dream job, in the right company with the right information. Rebecca at Property Personnel found me the perfect role as an estate agent. She is absolutely fantastic, she listened to my needs as an employee and helped me through the whole process from interview organisation to outfit choices. We still maintain contact today and i am so happy to of passed my probation. I have recommended her to all of my friends and hope she receives all the praise she deserves. I simply cannot speak highly enough of Georgina Eastwood at Property Personnel. For the past 3 or 4 weeks she has been there with me, professionally, efficiently and perfectly guiding me through the process of securing a new job. There was never any ask too big or any phone call too much for Georgina, I cannot speak highly enough of her talent and skill at recruitment. I feel she has gone through it with me from start to finish like a friend would with no pushiness or false pleasantries as some recruiters would do. I would change jobs every week if I could just to have the opportunity to deal with her. Five star service. Thank you! Property Personnel have been amazing helping me and guiding me to finding a fantastic job! Anthony was so helpful and full of advice and continuous guidance! He really listened to what I wanted to do and put me in interviews with great companies! Property Personnel obviously have brilliant relationships with all the estate agencies! I would not have been where I am now without them! She’s been amazing! Couldn’t of asked for better service. Gemma has booked me in for loads of interviews with great companies and found me a job very quickly! Couldn’t of done it without her guidance and support. 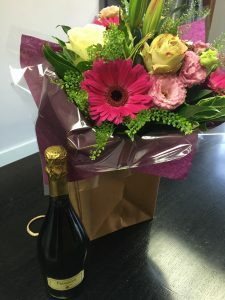 Thank you so much to Property Personnel and Rebecca in particular, who helped me gain my first agency role. Rebecca was a fantastic help with my job search from first meeting with me, through to making sure that I was settled into the new position. Always contactable with any questions I had, and always very prompt to act. Highly recommend Property Personnel! Nicola has been an absolute gem throughout my experience with Property Personnel! I highly recommend her to anyone in the industry looking to move jobs quickly and hassle free. Nicola has really helped me, arranging interviews at the available times given, providing me with many different options and keeping me updated on everything throughout. If you are looking to start/progress within the property industry then I would strongly recommend using Property Personnel. My agent was Nicola Brand who was a fabulous support from start to finish. My initial meeting was very informative, outlining the different aspects of work within the property industry and provided a detailed understanding of the whole recruitment process. It also allowed for a personal and friendly chat in which Nicola and myself were able to assess exactly which area of property I would be suited to best. In following the first meeting I found that regular communication and updates regarding potential interviews was very encouraging and at no point felt as though I had been forgotten. I was found a job within my targeted time frame and with a company that I feel confident matches my original criteria. Overall a professional, friendly and tailored service that provides you that extra boost when attempting to get to the interview stage. I would highly recommend Property Personnel to anyone looking to enter or further a career in property. My first point of contact was Nicola Brand who was extremely supportive from start to finish and was on hand to answer any questions I had, even on her day off. 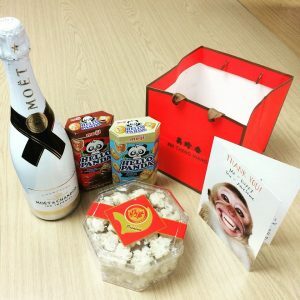 By far the best recruitment agency I have dealt with. I have recently secured a job through Property Personnel. I was dealing with Rebecca who was highly professional, very friendly and always kept me informed. The initial meeting lead to two interviews the following week which was great! The company is highly recommended and Rebecca is definitely the best recruitment consultant I have come across. Top company! I could not thank Nicola Brand at Property Personnel enough! Nicola arranged plenty of interviews for me and managed to help me secure a job within 24 hours. Amazing. Thank you! Dear Anthony, I thought I would send you a quick email to express my thanks to Joanna who recently got me a job with Kinleigh Folkard and Hayward. 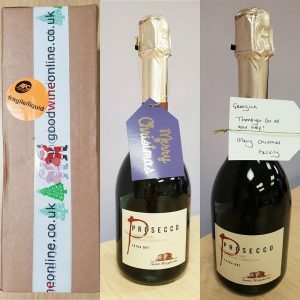 Joanna was extremely knowledgeable about every company we spoke about, both in regards to the package that they offered somebody of my experience, and more importantly the work ethic and ethos of each company and manager. This extra knowledge made the interviews I attended a positive experience, and at the same time I felt that I was sat in front of somebody who wanted to employ me. I would also like to add that Joanna maintained her very high standards of professionalism throughout the process which is no mean feat considering how stressful the situation can be, especially when dealing with me! The job I got offered is exactly what I wanted and more! When I am telling people this is the job I am going to I can’t believe it’s actually me saying it and this is 100% down to Joanna! She has breathed some life back into my career and has given me every chance of making my life a success for myself and my young daughter. Joanna is a credit to you and a credit to her profession! I think you probably knew this anyway! Please pass on my best wishes to Joanna. Dear Anthony, I am writing to let you know that your colleague Joanna has placed me with two employers during my estate agency career to date – both experiences have been exemplary. 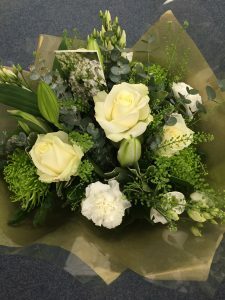 It’s clear to see that Jo’s working for your client and the applicant to secure the most suitable match and package with a long term business head on. As an employer or a job seeker, I wouldn’t recommend anyone else. Please thank Jo for amazing job yet again. Dear Anthony, I wanted to take this opportunity to write to you regarding your employee Georgina Morgan. I am a candidate of Property Personnel’s and I was recommended your company and Georgina by a close friend. From the moment I made contact with Georgina she was extremely professional, a great listener and a trustworthy individual: I immediately knew that this lady was going to help me find a new role. I have only been registered with Property Personnel for a few weeks and Georgina has been a truly great recruitment consultant as she listens to what her candidate’s requirements are. 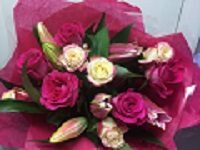 Being in full time employment, it is very difficult trying to seek a new position but she has been so supportive and hard working in order to secure a role for myself. I have just accepted a role that Georgina has been able to find for me and it really is the job of my dreams. I can’t thank her enough and would certainly recommend her to any candidate who is looking for a role within the property sector as she is excellent and goes the extra mile for her candidates. I want to thank Property Personnel and Georgina for making my next career move a smooth and easy transaction. Dear Anthony, I have recently found a new job through Property Personnel which I start tomorrow, I had the absolute pleasure of dealing with Joanna Davis who made the entire process fantastic. I spoke with 20+ recruitment agents when I began to look for a new job and Joanna was the only one I trusted to send my CV to and allow to look on my behalf. I found her to be insightful and knowledgeable about the industry and I have never met a recruitment agent so switched on and enthusiastic about the job at hand. The process as a whole was very quick, with me meeting Joanna on the Thursday, having an interview on the Friday, and by Tuesday I was offered the job! Without Joanna’s help, advice and true understanding of what I was looking for I don’t think I would have found a job by now, let alone one which was exactly what I was looking for in a company I’m looking to spend at least 5 years with. The amount of effort and advice Joanna gave to me was exceptional, from meeting me before work as that was the only time I could do to giving me tips for the interview, what to say and even altering my CV to make sure it had the desired effect. It is very refreshing to see, and such small touches make a big difference. 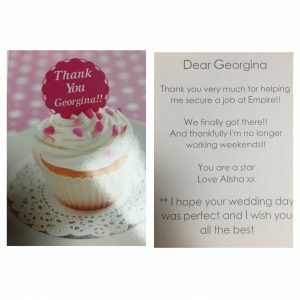 From keeping me up to date every step of the way, to calling just to touch base and see how it was all going, Joanna made the entire process a pleasure and I would have no second thoughts in recommending her to anyone looking for a new job in the industry. Part of me even wants to to search for another job just to deal with Joanna again! I hope I shouldn’t need to, but if I am ever looking, Joanna will be the first and only person I call. She truly is a shining star. I first approached Georgina when relocating from the South West to London. 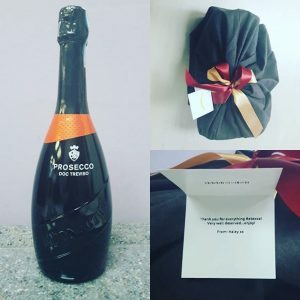 I found her approachability and warm personality refreshing after hearing of other’s bad experiences with pushy and abrupt recruitment consultants and initially being reluctant to use their services. Georgina realised that, being new to the city, my knowledge was limited – she was able to provide me with second to none advice due to her wealth of knowledge of the property sector. Georgina was superbly efficient and consistent, arranging me multiple interviews and thereafter presenting me with several job offers. I would highly recommend Georgina to anyone looking for work in the property sector, with or without experience. Good afternoon Allison, apologies for the delayed response, but yes, everything is going very well so far in my new job. Thank you so much for all your help in finding it for me. 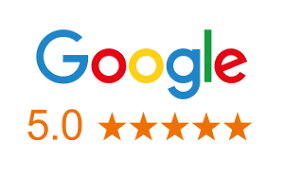 You were incredibly efficient and I will definitely be recommending your services in the future! Best wishes Lauren. Hi Jo! I thought I would just drop you an email to sayhello. I am getting on really well here and am very grateful to you for allyour help and advice in finding me this great opportunity. Lettings is great asyou suggested as I am continually stimulated every time I do a deal, so I’mvery happy about that! Finding me something so close to where I live is alsogreat as I have no commute! Once again, many thanks, David. Dear Georgina, I would like to say a huge thank you for all the time and effort that you put in to finding me a job. It was unfortunate that things didn’t go to plan, but I will definitely keep in touch with you and I promise I will get back in touch if things do not work out! Once again, thank you so much for all the help and advice you gave me. Many thanks Lucy. PS. I will also recommend you to all of my friends! Dear Jason, this is just a little note to say a huge THANK YOU for all your help. I would recommend you in a heart beat, and I look forward to us having that celebratory drink once I have settled in here. I hope all is well with you and once again, many thanks. Good morning Anthony, thank you very much for your email confirming the job offer details. I am starting on Monday so I will keep you in the loop as to how it all goes. Thank you very much for your help, not just these last few weeks, but over the last few years as well. I know you have put in a fair shift to help me and I’ve probably been frustrating to deal with so I’m very happy you have managed to find me this great position so quickly this time round. Once again, thank you very much and keep in touch. Best wishes Oliver. Hi Jo, I wanted to say a MASSIVE thank you for all your help!!!! I am so pleased and I am grinning from ear to ear. Strutt & Parker are such a great company and I really wanted to work for them – and thanks to you I am now going to! Thank you once again for helping me gain this fantastic opportunity. I had tried several property recruitment consultants before being recommended Joanna Davis at Property Personnel and nearly all of them wanted to put me forward for roles that did not suit me, and all of them lacked any real engagement in assisting me with my search. Jo was different as she listened to everything I was looking for and, having taken the time to meet up with me, made an assessment of what type of roles would be right for me. After this she was the most proactive recruitment agent and communicated what she was doing throughout the search. The role she placed me in with Hamptons International ticked all the boxes I required, and she seemed genuinely pleased to have helped me secure the role. Jo is by far the best Recruitment Consultant out there! Allison, thank you very much for supporting me throughout the recruitment process. Your help and advice has been AMAZING! Keep in touch. Dear Jo, I just wanted to thank you so much for your help in finding me a new job! You have been a great help and very supportive. Dear Jason, ‘Thank You’ so much for all your help with getting me my great new job! I really appreciate your time and advice, and all the help you gave me which helped me to secure a new career in Estate Agency. Dear Joanna, I want to thank you to you for all your help and support during my job search. You made it an enjoyable experience rather than a daunting and scary one and I really appreciate that. 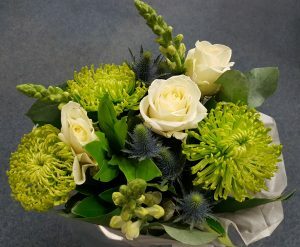 My first few days at John D Wood have been great and I already feel very much part of the team! Thank you so much again. Allison, this is just a little note to say thank you for all your help and advice during my search for a new job. You and your team’s dedication has helped me so much in this situation,and you have presented me with a fantastic opportunity for which I will be forever grateful. I’ve enjoyed my first few days in Richmond immensely – everyone here has been great! Once again, thank you very much. Jason, I just wanted to say a big thank you to you for all your help finding over these past couple of weeks, and for finding me such a great job. You’re a credit to your company, and have been nothing but top class throughout the whole process. As we say up north – “You’re different gravy! Allison, I wanted to say another BIG thank you to you for all your help finding me a fantastic new job. I’m looking forward to joining Strutt & Parker and that’s all thanks to you! Take care and all the best wishes for the future. Jason, thank you so much for all your hard work in finding me a fab job. I am so looking forward to starting next week. Take care and thank you again. Anthony, in what is a very competitive market, my experiences have confirmed that both you and Property Personnel are head and shoulders above the competition, and I would recommend you and your company to anyone looking for a career in estate agency. Allison, I really appreciate your help and hard work. As I told you, there are no other agencies to match yours and certainly no other consultants that are even a patch on you. I will (as always) recommend you to anyone and everyone I know. Many, many thanks for all your help. Property Personnel has restored my faith in recruitment agencies by demonstrating how they should work, but very often don’t! Anthony, a huge thank you for all your hard work, efficiency and patience in finding me my new position in marketing. I absolutely love it! 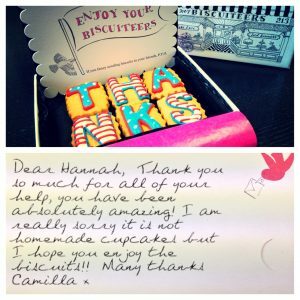 Emma, thank you so much for finding me my job at Hamptons International. I have met many recruitment consultants recently and you were the only one who really listened and thought about companies that would suit me. I hope I can be a similarly non-stereotypical estate agent! Jason, now that I found my feet in my new role I thought I would let you know that the job is going really well and I am staring to do lots of deals. Thank you so much for all your help in putting me in this role. I couldn’t be happier with my location or the team I work with. Allison, I just wanted to say thank you so much for your exquisite personal help and advice in finding me this job. You are head and shoulders above any other agency I have ever come across. Thank you very much. There is no question that I would turn to Property Personnel again, as a candidate or a client, and equally I have no hesitation in recommending you. Allison, I wanted to let you know how well I’m settling into my new role. The company have already booked me on some training and I am taking my ARLA 1 exam soon. I was extremely impressed by how quickly you got me interviews and found me this job. You are a credit to your company and I will recommend you to all my friends who are looking to move jobs. Allison, what can I say! Thank you so much for finding me this fabulous new role. As I have already said, Property Personnel are no match for other agencies, and you certainly are no match for other recruitment consultants! I really appreciate all your hard work and perseverance. The fact that you listen, do what you say you will do when you say you will, and still manage to happy and smiley makes it a pleasure dealing with you. I was very impressed with the way you handled everything, and flattered by the lengths you went to on my behalf. I am grateful that you not only took the time to meet up with me in person, but also that you listened to exactly what I wanted, and then proceeded to find it for me! I appreciate that I have been extremely fussy, but after a very long search, you have finally found me the perfect job. You have been my tower of strength through all this. Thank you. Hopefully we can now work together from the other side of the recruitment fence!